Private student loans should be considered "last resort" opportunities. You should utilize all other financing options before applying for a private product. Remember, federal student loan programs are less expensive than private loans and should be considered first. Private loan interest typically begins accruing immediately and fluctuates with market rates. It is very likely private loan borrowers will be required to have a cosigner. The lender, not Methodist College, determines eligibility for a private loan. However, the Office of Financial Aid is required to certify your enrollment and request disbursement amounts. NO private loan will be approved without the student approving disbursement amounts. Students should contact the Office of Financial Aid (arobinsons@methodistcol.edu) to finalize disbursement requests. Refunds from private loans are disbursed through Methodist College and paid only when a credit balance is created. No refunds of private loan funds are disbursed before a semester begins. If a student is awarded the State MAP Grant and wishes to use a private loan for living expenses, please make sure to let us know this when we are determining disbursement amounts. 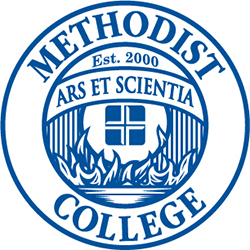 Methodist College does not endorse or recommend any specific private loan products. The lenders listed below are those who have issued loans to Methodist College students in the past two academic periods. You may use this product to compare and proceed with application for a private loan. How soon will I enter repayment? Are interest-only payments required during enrollment? Is a co-signer required? If not, if I use a co-signer can I receive a better rate? Will the interest rate and fees change in repayment? Does the lender offer a fixed-rate product? Should I apply for a loan each semester or for more than one semester at a time? A loan must be completely disbursed within a one year time period from the first disbursement to the last. Therefore students who need a private loan typically will need to apply at least once a year. Banks will not allow more than four disbursements in that time period. Disbursements CAN be changed but the total of all disbursements cannot go over the amount requested when you apply. Some banks will have a maximum that can be borrowed each year. A student can determine how much to borrow based on two things, how much they will owe for tuition and fees and how much they may need in a refund for various expenses. Tuition and Fee expenses. Determine an approximate number of hours you will take each term. Multiply that by the current rate of tuition and add fees. Consider your current financial aid and subtract this figure from the amount you calculate in step one. Finally, consider expenses you may need to pay with any refund (if requested). This may take the creation of a spreadsheet of expenses to determine a budget. If a loan is approved by the school by the first day of class, a refund is typically mailed in mid-September and mid-February so plan accordingly. Why can't I get all the loan funds I want in Federal (Student) Loans? The amount of Federal Direct Student Loans is determined by Federal Regulation and not by Methodist College. Loan amounts are determined by two factors; dependency status (if you are dependent or independent based on the "rules" of the FAFSA) and your class level (Freshman, Sophomore, Junior, Senior). Federal Loans do have annual and a "total" limit also. Click the box that says "Compare" for each one you are choosing and then click on the actual word "Compare". This will bring up the lenders you are wanting to compare.